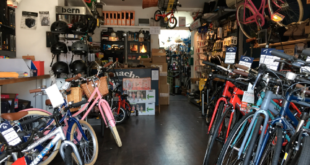 Three Bristol bike shops lost out on a £1200 sale because of a staff blockage. Their guys cant sell. Training can help. Suppliers are now keyed up to offer IBDs training vouchers to encourage greater take up of training. That was the conclusion of the ACT Dealer Development Group held in London on 16th February. This attracted 13 suppliers including top-end brands and featured a powerful presentation from Mike McGraw of Marketing Initiatives, the ACTs sales training provider. McGraw told the meeting that he went to four Bristol bike shops, not to mystery shop but with a genuine budget. He was helping his son choose a bike and the price range was £750-1000. His son had some some basic product research but had no brand preference. Three of the four shops couldnt sell for toffee, the fourth sold the features and benefits of a Cannondale so well that McGraw Junior was sold up to a £1200 bike. McGraw Senior told the assembled suppliers that its in their interests to have trained, effective shop staff because the only thing between a bike sale and the opening of a wallet is a shop assistant, and a customer will walk from even the best shop if he/shes served by a poor sales assistant. The three shops which failed to grab the £1200 sale had staff who werent very good listeners, asked too few questions, and lacked basic product knowledge. In one shop, when McGraw Junior was asked his probable price range (not all shops asked) the sales assistant took a sharp intake of breath as though this was a lot of money to spend on a mere bike! You could have heard a pin drop, said Anne Killick of the ACT. Mikes presentation really hit home. 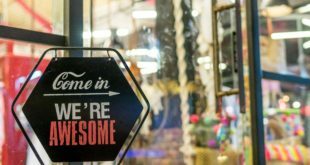 Suppliers now realise the shop assistant is their only interface between them and a sale. The idea of training credits went down really well after the presentation. Some suppliers are already offering £20 training credits for IBD staff and more are expected to follow suit. The suppliers present at the meeting were: Crabtrees, Dawes, Fishers, Giant, Madison, Michelin, Moore Large, Raleigh P&A, Raleigh Cycles, Saracen, Schwinn/GT, Second Level Sport, and Trek. Apologies were received from Eddie Eccleston, MD of Ideal Bicycles and president of the BA. Guests at the meeting included Mark Walmsley, former MD of Madison, who is still involved with the ACT training drive, and David Hyde, organiser of the Cycle & Leisure Show. I do not think I have ever experienced such positive vibes from suppliers and the unity of purpose between us all. Their support is invaluable in promoting ACT objectives. They all see that investment in staff training doesnt just increase skills, it actually contributes to selling more product for the supplier.